When I was a young girl, it was deemed that I would benefit from sewing lessons. Without proper instruction I chose a pattern and material for my sewing project. The dress pattern was too intricate and the material was too flimsy for a beginning stitcher. On the day of modeling our hand-made creations I felt like every pucker and crooked seam were on display. Thank heavens that the floral fabric was lovely and hid the imperfections of my sewing project. As I recall this experience, I realize that failure was the teacher of the class. The lesson from the early teens sewing class: understanding of the vision is needed for sewing success. Indeed, I did benefit from sewing lessons. I have become a Sewing Teacher. 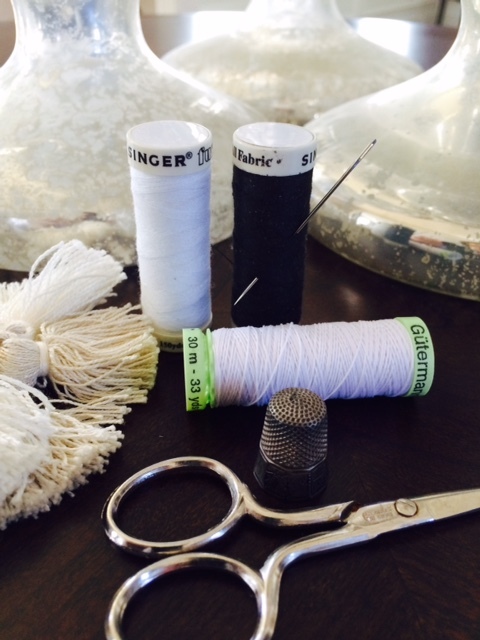 Today, I invite you into a sewing class that will reap eternal benefit. The material is the fabric of faith. The pattern is the Word of God. The aim is not to sew a garment of woven threads. The goal is to sow a garment of faith. Let us gather in our sowing circle and fashion Growing Robes for our next generation. The beautiful thing about sewing or sowing for Jesus is that we cannot fail. His word never returns to Him empty (Isaiah 55:10-11). And His mercy extends to all of those who fear him from generation to generation (Luke 1:50). I earnestly invite you into my passion to secure the conscience of the next generation for God. Join in. It will take more than a village. It will take a Kingdom! DO YOU SHARE MY PASSION FOR BUILDING FAITH IN THE NEXT GENERATION? Next Post: an excerpt from Faith Feedings…12 Principles to nourish your child’s spiritual development (release date–June 18, 2015). In this time together we will meet Hannah who is the inspriration behind The Growing Robe.